The Archaeological Monuments Zone of Xochicalco comprises a pre-Hispanic fortified city, that came into existence during the transitional Epiclassic Period (ca. 700-900 AD). The apogee of Xochicalco came after the fall of Teotihuacán and the waning of other large empires such as Palenque and Tikal. The newer societies were much more militaristic and their cities were usually located in elevated defensive positions. 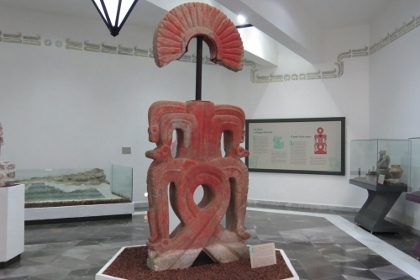 The architecture and iconography of Xochicalco shows affinities with both Teotihuacan and the Maya area and it is probable that the city of Teotihuacan was a multicultural city, although it also does seem to have had a connection to the Tlahuica culture. 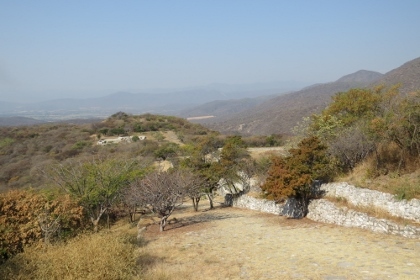 The main ceremonial center is atop an artificially leveled hill, with remains of subsidiary buildings, mostly unexcavated, in the surrounding area. I had planned to visit Xochicalco by public bus, but got discouraged after reading that the 38km trip can take up to 1.5 hours and one can only hope to be let off at the entrance gate to the site. As I had a lot of pesos left anyway, I decided to splurge on a taxi that would take me straight from the hotel to the site. So I sat first class in the back of a brand new radiotaxi, covering the distance in 40 minutes. The site lies in a barren, hilly area – actually the city was built on top of those hills. I then walked uphill to the site entrance, some 500 meters on a path with fine views of the site from a distance. 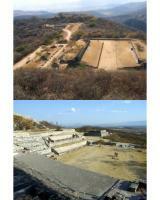 Its location does look like Monte Alban, if I remember that well enough from a visit 17 years before. I was glad I had a site map in my guide book, as the ruined city is a bit of a maze. There's a sign here and there, but just as at all other archaeological sites I visited in Mexico during this trip they are confusing to say the least. I did manage to find all structures, but the first were disappointing. The site is mostly in ruins, so you'll see a lot of stone walls and rubble. The only exquisite building left is the Temple/Pyramid of the Feather Serpent. It has a relief all around it, where the figures (humans and animals) are still very clear-cut. What's left of the Rampa de los Animales is now under protective covering: the stones with the animal drawings on them aren't easy to see and most of them are faded anyway. It was a great idea however, of these rulers of Xochicalco, to welcome visitors with a decorated access path like this! I then roamed around the structures some more. Although it was relatively early in the morning, the sun is very hot up here as there is little vegetation. It’s just like walking around an Ancient Roman or Greek excavation on a summer day. You really need to bring water with you, it’s not available at the site. There was just something very enjoyable about the place. Its setting on top of a hill, its immaculately maintained grounds and impressive ruins provided a wonderful morning break from Cuernavaca. Despite my limited efforts I had somewhat slipped into the trap Paul describes below, with idea that pre-hispanic Mexican cultures were either Aztecs or Mayans, so it was very enlightening to discover something of a hitherto unknown culture. My quick trip through the onsite museum helped pick out the most interesting parts for me, and helped me interpret the various structures and ruins. Clambering over the pyramids and moving from one plaza to another it was very easy to feel that this place was once a real city, rather than just a series of archaeological ruins. The pyramid of the Plumed Serpent was a real highlight. 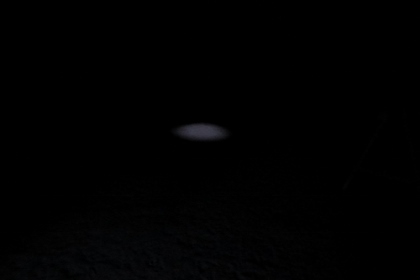 I also visited the observatory, which was dark, hot and very humid. 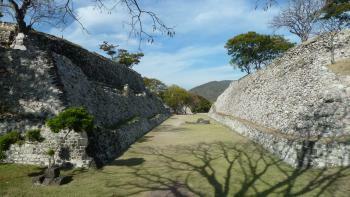 There was something rather special about my first sighting of that defining Mesoamerican structure; a ball game court. I know there are religious aspects to it that I don't currently comprehend, however it was so identifiably a sports stadium, I couldn't help but get that pang of excitement I get from walking into a modern day arena. After a very pleasant walk around I was heading back on the surprisingly well signposted roads back to Cuernavaca having had a very enjoyable morning getting to know a culture I previously had no knowledge of. Xochicalco was the third ruin I visited while in Mexico. As part of my quest, I visited several more. However, I still have a fond memory of the sight and feel it is deservedly listed as WHS. Key reason for me that make the sight special is it's location. Built on top of a hill it feels like a fortress meant to protect its inhabitants. I was reminded of the Acropolis or a medieval castle. 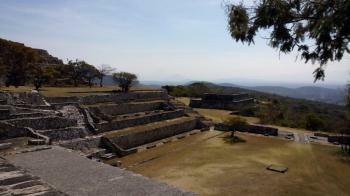 This is very different from most other ruins I saw in Mexico, apart from Monte Alban. I also enjoyed the gardens greatly. Not sure why, but it seems they had a good gardener and the sight feels a bit like a park. Getting to Xochicalco is fairly straightforward. Good busses run hourly from Mexico City (South) to Cuernavaca. And similarly from Cuernavaca to the sight itself dropping you off at the entry to the museum. Getting away from Xochicalco cost me 2.5h. Everyone told me the good bus that took me there would show every hour. It didn't show for two hours. My guess is that the drivers, don't really like taking the detour. So they skip on the stop and go directly to Cuernavaca. Instead, take the 3rd class bus to Cuernavaca from up the hill. It will not drop you at the right bus station in Cuernavaca and you have to make your way through the city to get to the Mexico City bus. Cuernavaca is fairly nice and has itself a WHS. Bring water and sun screen. Not sure where to write this... Anyways Xochicalco site is closed since 2 days because of a protest of local farmers. People trying to get close to the gates are sent away with machetes. My guide didn't know anything about it, so I got there this morning (March 22nd 2014) and I witnessed the unpleasant scene. Against more than 100 people, there wereonly a couple of police patrols. Hopefully the situation will be cleared soon, but I've missed the visit to the site, since my next days are fully booked. Anyways I could "admire" the Unesco logo in the washrooms (luckily these people let us use the toilet when they realized my 6-years-old kids needed it). Pretty disappointing for our first day in Mexico!!! Also 2 tourist buses were sent away when I was there (one of Mexican seniors and the other of Japanese tourists). I think this should go in the news section, not sure if the news is reported in any local Mexican website, it should! Also the access to the museum was blocked and the site employees were outside the area, descouraging the tourists from getting closer to the gate. Bad luck!!! 10 out of Mexico’s 27 inscribed sites are pre-Hispanic – Xochicalco isn’t among the “top ranking” but has its interests and is certainly worth visiting if you are in the Cuernavaca area. Non-experts might tend to think of Mexico as being the home of just the Aztecs and Mayas but there were in fact many more different “civilisations” than these, spread over many centuries. Each of the sites demonstrates continuity and development among and across them and also the different social and agricultural etc practices imposed by the wide variety of living conditions across Mexico’s terrain - think 2000 years of Europe from BC to c1500! Xochicalco dates from around 800 AD and appears to have been primarily religious and ceremonial in purpose. 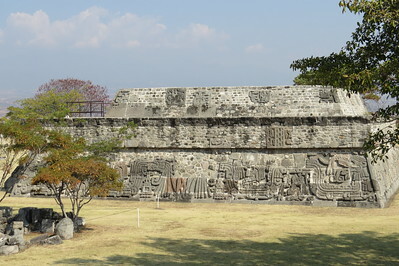 It is particularly noted for its enormous ball court (photo1) with Mayan influences (the “Ball game” had considerable ritual significance in most “Mexican” civilisations) and the Observatory, where caves can be entered to reach a vertical shaft through which the sun shines for 5 weeks on either side of the summer solstice. There are also some fine carvings on the “Pyramid of the Plumed Serpent” linking to both Mayan and Teotihuacan civilisations. The ticket office (which you must visit first) and museum are set quite a walk down from the site and those with a car should be aware that you can drive up to another car park after getting your ticket/visiting the museum and you will just have to show your ticket at the second entrance – there is no need to walk from the signed museum exit, just return to its car park! Entrance fees were 48 pesos in Mar 2008 (approx US$4.50). Guidebooks which state that “over 60’s get in free” are incorrect – this concession has now been limited at all (??) Mexican historic sites (except to my knowledge at El Tajin!) solely to Mexican citizens and registered foreign residents! You will need 1 ½ - 2 hours to see the site and museum. There is quite a lot of climbing and the site is at altitude but there are some fine views (photo 2). The Observatory closes at 5pm (the rest of the site at 6) – if you arrive in mid afternoon numerous unofficial “guides” will appear to “take you” to it quickly before it closes! There is no need to use them of course but there can be a queue to get in as the resident guide there closes an iron gate when he has a “caveful” so, if you want to see it, gauge how much time there is and how busy the site seems. The caves are at the far side of the site slightly downhill and to the left after you have climbed to the highest plateau (photo). The Observatory isn’t signed until that far side. The museum, in common with other pre-Hispanic site museums we visited (other than the magnificent Museum of Anthropology in Mexico DF), only describes its exhibits in Spanish but the signs around the site itself are in English as well (but interestingly not in any local language unlike at El Tajin and Monte Alban – a sign of the relative strength of indigeno culture remaining in various areas of Mexico?). Visited by Alexander von Humboldt on his travels: Visited in 1803/4. In 1810 he published a description and plate. 71 Community Members have visited.